A completely revised and updated edition of the cookbook that set the standard for entertaining, featuring new recipes and old favorites with all the great taste, convenience, and ease of preparation that has made it the entertaining bible for more than 500,000 cooks. We all know that stirring risotto in the kitchen while your guests are gossiping in the living room is no fun. That's why the recipes in The New Elegant but Easy Cookbook can be prepared in advance and refrigerated or frozen until your party. While sharing all-new recipes for delectable dishes like Chicken Breasts Stuffed with Goat Cheese, Mediterranean Couscous Salad, Michele's Corn Pudding, or an astonishing Prepare-Ahead Chocolate Soufflé, Burros and Levine have also included fifty favorites from the original cookbook, like Sherley's Parmesan Puffs, Baked Imperial Chicken, Green and Gold Squash, and Lois's Original Plum Torte (the most requested recipe ever reprinted in The New York Times). To make your life even easier, the book has an ingredients list with mail-order sources and lists of recipes for specific needs and occasions. Best of all, there are ten foolproof menus, from an Old-Fashioned Casual Dinner for 6 to a Brunch for 16 to a Cocktail Party for 24, each with a shopping list and a two-week "countdown game plan" that will take the fear out of entertaining for even the first-time host. In 1995 I was on a countrywide tour with my new cookbook, Eating Well Is the Best Revenge. Often, while I was autographing the new book, copies of Elegant but Easy, dog-eared, food-stained, and occasionally in such bad shape that the pages were held together with a rubber band, would be handed to me to be autographed, too. Book owner: I just love your Elegant but Easy. I cook from it all the time. Me: Do you still use it? B.O. : (sheepishly) Well...(and then brightening) I make some things but I've changed them a lot. We don't eat the way we used to. Jell-O molds for every dinner party -- not likely. My coauthor Lois Levine and I have wanted to revise Elegant but Easy for at least fifteen years, but it wasn't until Elegant but Easy's publisher, Macmillan, was purchased by the publisher of my last three books, Simon &amp; Schuster, that a revision became possible. 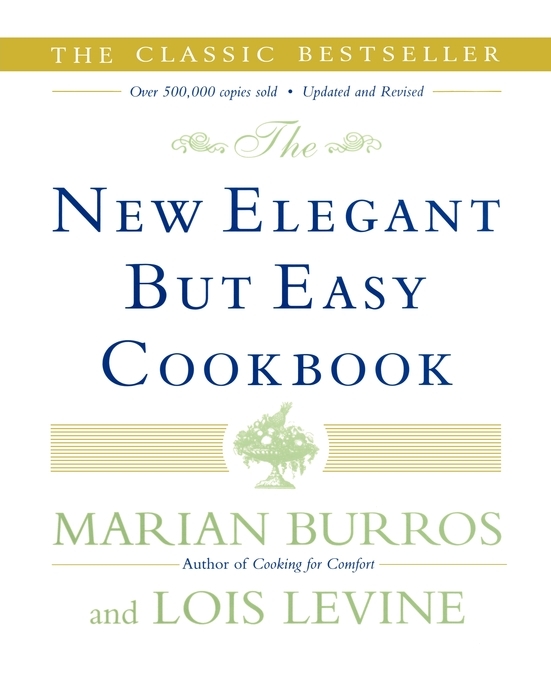 Lois and I cook so differently from the way we cooked when Elegant but Easy was originally published in 1960 that we often laugh nervously when someone mentions a recipe that contains mushroom soup mix or refrigerator biscuits or canned condensed tomato soup. In hindsight we think we should have known that these products of technological progress were not making food taste better, but, like almost everyone else, we were conned into believing that these timesavers would not compromise the taste or integrity of a dish and would give us more free time. Free time to do what? Work harder and longer hours at other jobs. I have long since given up convenience foods, having found better-tasting ways to cook quickly while also controlling what goes into my food. But there's no point in making fun of what we did almost forty years ago. In Stand Facing the Stove Stand Facing the Stove (Henry Holt and Company, 1996), the delightful biography of Irma Rombauer and Marion Becker, the mother and daughter who produced Joy of Cooking (my bible for years), Anne Mendelson writes: "It's ridiculous to be uppity about condensed milk, cherry Jell-O, canned vegetables, thick white sauce, processed cheese, condensed tomato soup, canned fruit cocktail, or spaghetti cooked to the consistency of baby cereal. "Plastering retrospective snobberies over such foods because they are not chic today is purely silly. The fact is that all cultures form their own accommodation with the resources that their agriculture and technology make available to them. The attitude that some of our grandmothers or great-grandmothers held toward the products of American know-how precisely parallel the attitudes of modern gourmetdom toward 'boutique' olive oils or 'artisanal' cheeses." Rereading an article I wrote for the New York Times in 1985 and reprinted with comments from readers in The Best of De Gustibus (Simon &amp; Schuster, 1988), I was reminded why I should know better than to make fun of my old recipes. Ellen Brown and Ann Brody, both food consultants, invited me to a black tie "Déjà Vu" dinner in Washington. They thought it would be interesting to see how people would react to a meal based on recipes from the 1950s and '60s. I reported on the event in the New York Times: "While the fifty guests enjoyed much of the food, the tomato aspic was an unmitigated failure. 'It was universally decided,' Brown said, 'that our palates had progressed past the point at which we would tolerate tomato aspic.' Which probably explains why it has been at least twenty years since I made my version of tomato aspic, which contained raspberry gelatin as well as horseradish." After I got through poking fun, the mail began to arrive and I stopped laughing. "Help," wrote a reader from Westchester County, New York. "I did not realize that recipes and food are dated. Elegant but Easy happens to be one of my favorite cookbooks. What should I replace it with so that my cooking can be 'now'? "Your column in today's Times was really depressing. Are there any recipes in your book that can still be used without appearing gauche? Just three or four weeks ago I made Sweet and Sour Meatballs and all the guests thought they were wonderful. Does this mean we are all out of touch? "All kidding aside, is there another cookbook that tells you where to stop when preparing a recipe in advance? I have used Elegant but Easy and Freeze with Ease for at least seventeen years; both books have been reliable; now I feel self-conscious when selecting a recipe." Worse still was a note from an equally upset Connecticut reader: "I consider it needlessly unkind to ridicule the food preferences of other times, places, or people. Some of us like tomato aspic, though I never get to serve it because my family decided it was unpalatable (icky) in the 1940s, considerably ahead of the guests at the Déjà Vu party." This is not the way for a cookbook author to get people to buy her books. For all the outdated recipes and ingredients in the original Elegant but Easy, including the aspic, there are still some dishes I never stopped making -- Toasted Mushroom Rolls, Sherley's Parmesan Puffs, Frozen Grand Marnier Soufflé, Lemon Angel Trifle, and, of course, the Fruit Torte, which is now called Original Plum Torte and is the most requested recipe I have ever published in the Times. It was one of Lois's contributions to the book, and every fall the letters and calls come in asking me to reprint it because the one from the previous year has been lost. There are about fifty recipes from the first edition in the new one. So why not start anew? Because the concept behind Elegant but Easy is as good today as it was in 1960: recipes that can be prepared in advance so that the cook can enjoy her (there were hardly any "his" then) party instead of slaving over the stove. The idea of stirring a risotto while everyone else is gossiping in the living room is (still) not my idea of fun. While a few cookbooks today do suggest how much of a recipe can be prepared in advance, most don't, usually because the dish cannot be prepared ahead of time and maintain its texture and flavor. Much current cooking is à la minute, which is great for restaurants where the chef's staff preps it and cooks it and you eat it. Right away. That kind of cooking does not translate well to the home unless you have a kitchen staff, and if you do, you don't need this cookbook. The result is that fewer and fewer people give dinner parties or parties of any kind at which they serve their own food. Fortunately there are still some who would really like to try, a fact that was brought home to me in December 1996, when I wrote a piece for the New York Times about giving a dinner party and spreading the work over a two-week period. It provided a game plan so that the cook could include strategies to get the food on the table without a meltdown of either the cook or the food. In a recent nationwide survey, 26 percent of Americans said the hardest part of entertaining is preparation, like cooking. The menu for the article came from the new version of Elegant but Easy. What surprised me was the response from readers: the article was being clipped from Washington, D.C., to Los Angeles because the recipes and the game plan had put entertaining at home within the reach of anyone who knows how to toast a cheese sandwich. The Easy part of the original book title still holds. As in the original Elegant but Easy, there is a snowflake beside each recipe that can be frozen and a refrigerator sign with a number indicating how many days ahead a dish can be made and refrigerated: 2 for two days. Elegant? As Americans have become more sophisticated about food, it's unlikely that many think of black bean chili or chicken cacciatore as elegant, and while there are plenty of dishes that can be served at today's version of a formal dinner party, there are even more that are informal. This is a cookbook for those who still want to entertain, at least once in a while, with as little stress as possible, whether it's two for a Sunday night supper, company invited only that morning, or something more impressive like a sit-down dinner for twelve. In addition, many of the recipes in the book, which came from my "Plain and Simple" column in the New York Times, are so quick and so easy they would be perfect for a family supper. Despite my reputation for featuring low-fat food with moderate calories, The New Elegant but Easy is about entertaining, not about day-in and day-out healthful eating. I don't think entertaining is the time to watch every fat gram and calorie. If you do that the rest of the week, some splurges are not only perfectly acceptable but absolutely necessary. The keynotes here are taste and ease of preparation. Wherever less fat has no impact on the taste of the dish, I've cut back and suggested lower-fat alternatives such as light sour cream and nonfat yogurt. But there is plenty of heavy cream, butter, and cheese, even though the idea that I use them may come as a shock to those who think I never stray from the low-fat path. 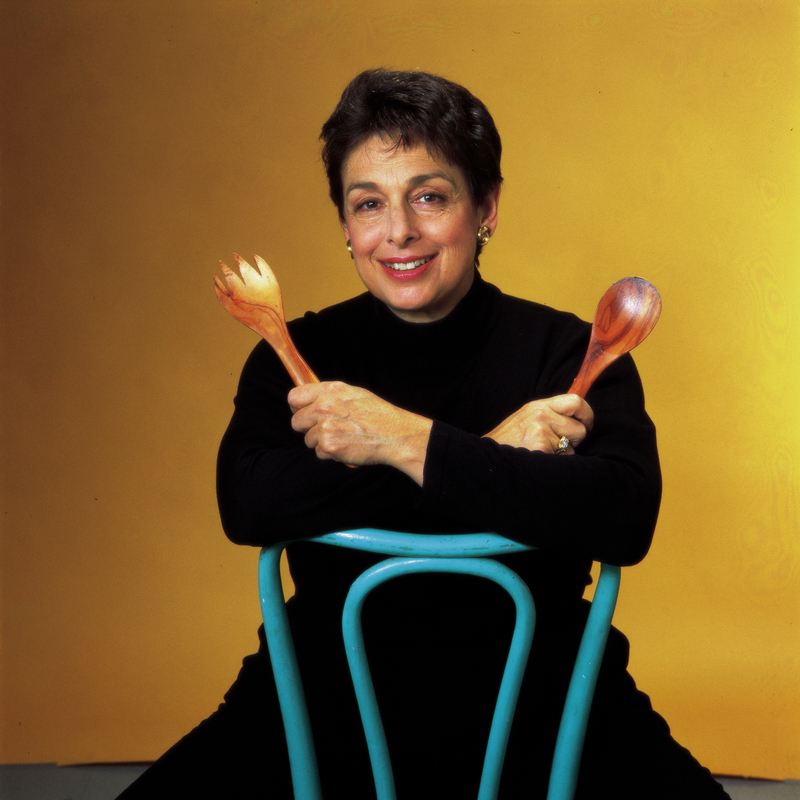 Marian Burros is a food columnist for the New York Times and the author of numerous cookbooks including Eating Well Is the Best Revenge and Keep It Simple: 30-Minute Meals from Scratch. Alice Waters, chef-owner Chez Panisse Café and Restaurant and author of Chez Panisse Vegetables These unintimidating delicious recipes can be accomplished with a minimum of effort, allowing us time to enjoy the important ritual of eating together with family and friends. Marion Cunningham author of The Fannie Farmer Cookbook Marian Burros and Lois Levine have put together a wonderful collection of recipes that give entertaining home cooks a great variety of appealing and delicious dishes for any occasion.